Skye Gravestones | John, James, Annie & Catherine MacInnes. 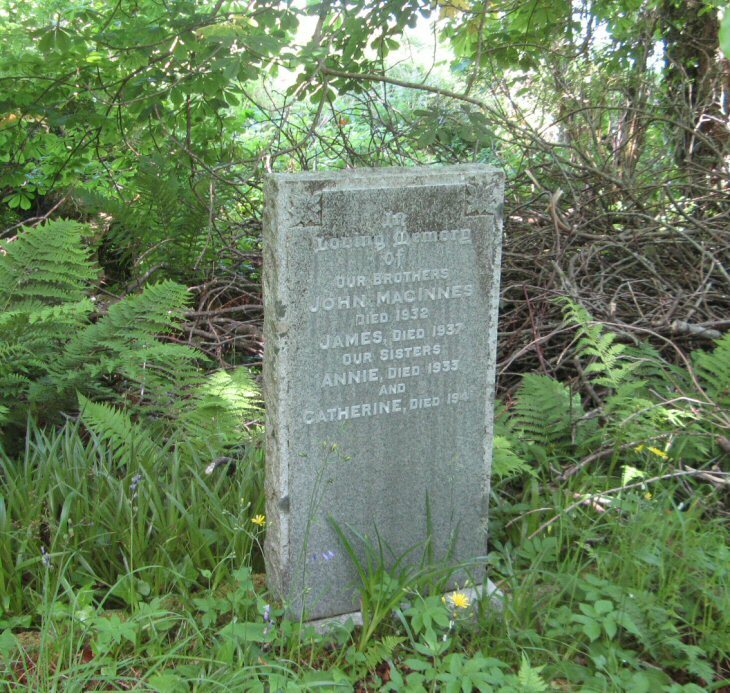 John, James, Annie & Catherine MacInnes. In/loving memory/of/our brothers/JOHN MacINNES/died 1932/JAMES, died 1937/our sisters/ANNIE, died 1923/and/CATHERINE, died 1941. Picture Added on 06 January 2014.